Designed for applications with limited space and can be assembled IN-LINE on straight pipelines. 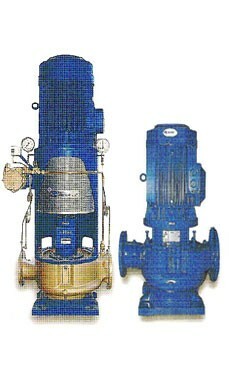 The pump inner parts, such as impeller, mechanical seal, ball bearings, wear rings, etc. are easily accessible without any need for suction and discharge pipe removal. Moreover, on the CM-Series it is not necessary to disassemble the motor or electrical connections. GENERAL: power plants; air-conditioning, refrigeration and heating; cooling systems; water supply and irrigation systems; clear or lightly charged liquid pumping. MARINE : general services, bilge, ballast, deck wash, firefighting, fresh and sea water cooling of main engine, gear box and auxiliary equipment, brine circulation and transfer, water circulation for condenser and evaporators, air conditioning , harbor and shipyard services. 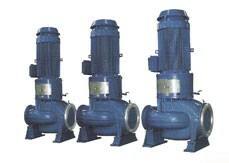 In- line vertical suction, double volute centrifugal pump.Robust design with two grease lubricated ball bearings.Flexible coupling.